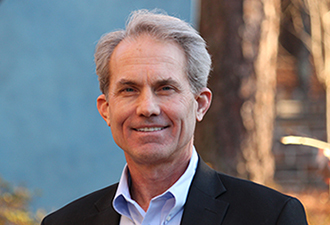 John M. Fuscoe is a partner in the law firm Wyrick Robbins Yates & Ponton LLP, in Raleigh, North Carolina. He concentrates his practice in intellectual property, strategic partnerships, venture capital financings, and the representation of technology-based and early-stage businesses, and his primary clients are software and Internet-related companies and consumer products skin care companies. Mr. Fuscoe counsels clients in all aspects of creating, protecting, maintaining, licensing and monetizing intellectual property, and he is a Senior Lecturing Fellow at Duke University School of Law where he teaches a course on intellectual property transactions. He has also been a guest lecturer at the Duke University Nicholas School of the Environment for the Entrepreneurial Experience and Entrepreneurial Execution classes. Mr. Fuscoe received a B.S., with distinction, from the University of Virginia in 1980 and an M.B.A. (with a concentration in finance) from the Carnegie Mellon Tepper School of Business in 1982. He received a J.D. from Duke University School of Law in 1996. Prior to attending law school, Mr. Fuscoe worked for two years as a management consultant and was then employed by IBM for ten years in marketing and management positions. Mr. Fuscoe is a member of the North Carolina Bar, and is registered to practice before the U.S. Patent and Trademark Office. He has given numerous seminars and written articles on intellectual property issues faced by start-up companies. In 2005, 2006, 2009, 2010, 2012, 2014 and 2015, Mr. Fuscoe was named among North Carolina's "Legal Elite" by Business North Carolina magazine.